ATTENTION: Anyone looking to de-stress and live a healthier lifestyle "Discover a Diet and Lifestyle That Combats Stress So You Can Life A Healthier, Calmer And Longer Life" You'll Find Out The Tips, Techniques And Exact Steps To Take To Finally Get The Results You Deserve! It’s a normal part of human life, that increases and decreases depending on what’s going on in our personal, professional, or academic lives at specific times. Although at some point each of us will feel stressed about something, some people are affected more by stress than others. If left unchecked, stress can sometimes turn into further problems, such as anxiety or depression. Because of this, understanding how to prevent, manage and control your stress with your diet and your lifestyle is absolutely important. 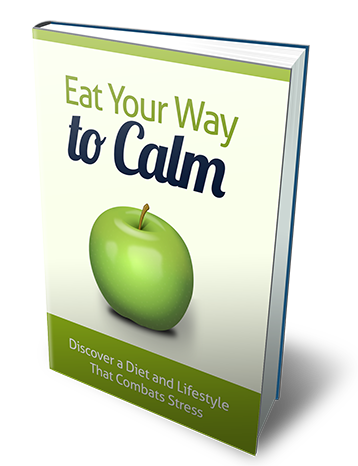 Since stress can have such a huge effect on your life if left to worsen, understanding how what you put into your body can help your mental state is absolutely vital to living a life that is calm, relaxing and stress-free. How Do You Live a More Calmer Life? It starts with your diet and exercise. I've written a guide sharing all the tools and techniques to help you finally de-stress and live happier, longer and more fulfilled.